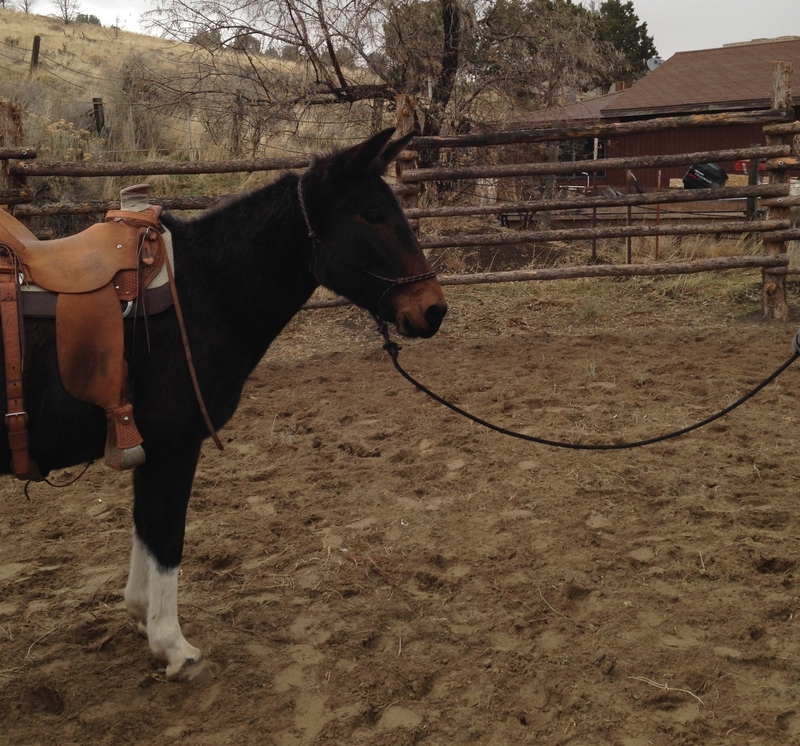 Recently, I went back to basics with Jolene, the mule. 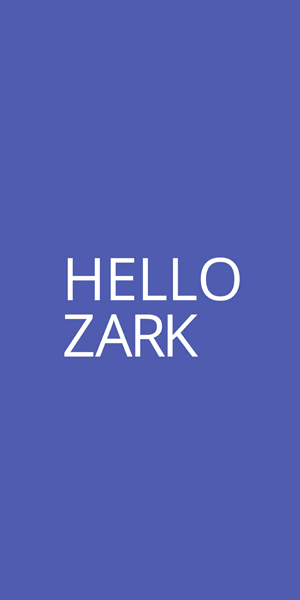 We have a history of holes in our training and I figured it’d be helpful for both of us to review some basic understandings. 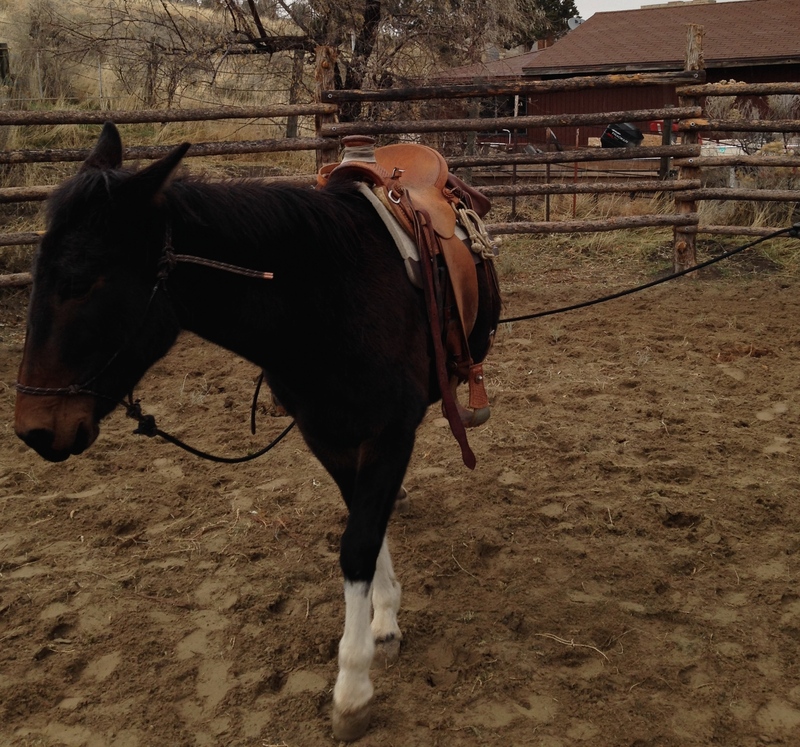 Here are two things we worked on over the course of an hour in Raechel’s round pen. 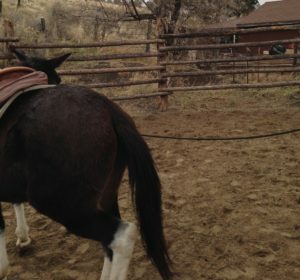 Read about the DIY Round Pen here. I’ve been a bit antsy about picking up Jolene’s hind feet. A few times, she’s felt uneasy, too, and has kicked out. To play it safe, I first had her step into a loop made with a rope. I pulled it snug and asked her to raise her hoof. When she held it there without a fuss, I released immediately, letting her take it back and set it down. We repeated that action several times on both sides. Gradually, I shortened the rope length. 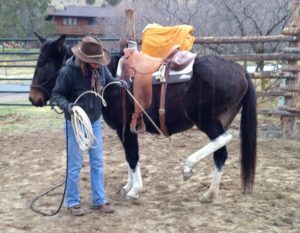 When she was relaxed and comfortable with the action, I simply grabbed her hoof with my hand instead of the rope. Again, when she held it for me without struggle, I let her set her hoof back down. 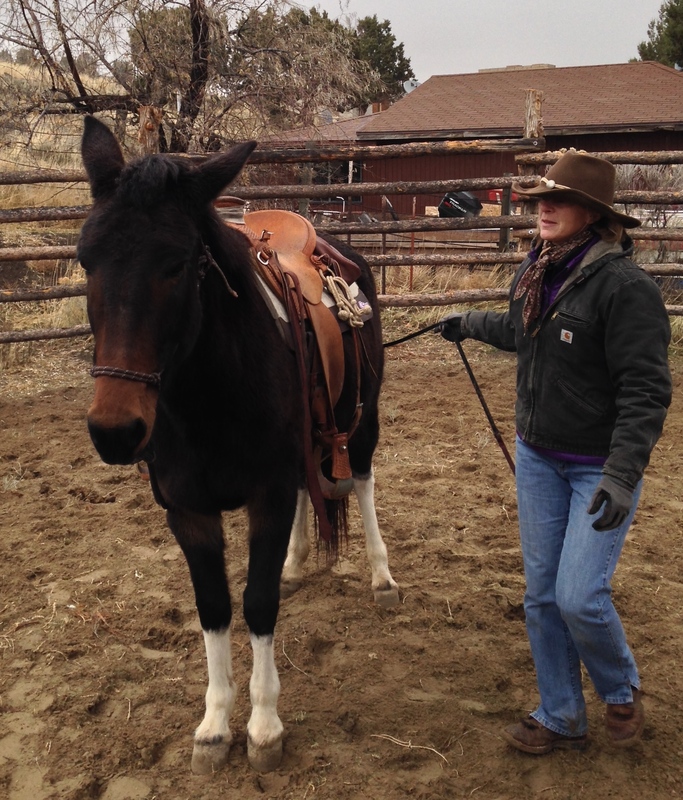 It’s important for me to move slowly when letting go, being careful not to drop the hoof with my release. Feeling funny pressure. Moving towards the pressure, but away from the rider. Elijah Moore and Chris Lombard showed me this exercise years ago. 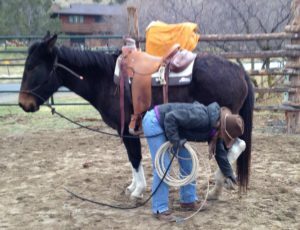 It involves running a line around the far side of the haunches (alternatively, some folks run it around the horn or cantle of the saddle) and asking the horse to follow the pressure. 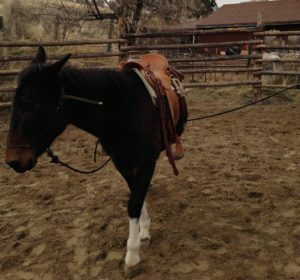 Some horses can worry a bit since the pressure isn’t coming directly from the person. They have to think, not panic. 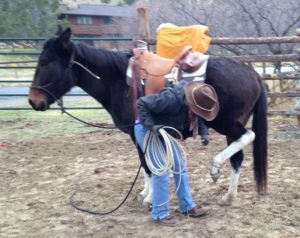 And handlers need to use a gentle, steady pull. It’s a wonderful exercise for helping horses understand the feel of pressure and release, as well as allowing a horse think through a process. Posted in BestHorsePractices, Equine Safety, Mule.